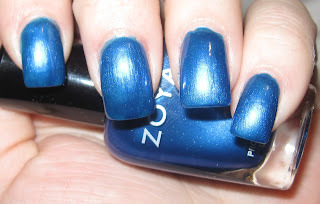 In the most recent two free Zoya promo, I snagged Tart after having it on my wish list for over a year. 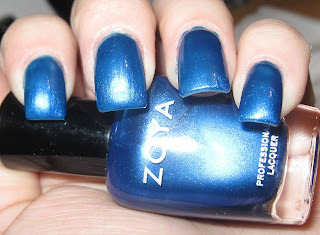 While I have lost track of the number of Zoyas I own, this might just be my favorite blue. Tart is a metallic cerulean blue that is just bright enough to be eye catching, but not too loud to wear in the winter time. It also doesn't have any of the staining issues of the darker blues. Per usual, the application was pure perfection! So what do you think, ladies… is Tart a winner? For Day 23, I was thinking of doing a glitter v. creme contest. So what do you think… Dannii or Kristen? And remember to enter the Passion for Fashion giveaway! Wow! Tart is gorgeous! I vote for Kristen! I'm a huge fan of Dannii!